Hélène Sirantoine is a lecturer in history at the University of Sydney, where she researches Iberian medieval history. She was trained in France and Spain, and received her Doctorate degree from the University of Bordeaux in 2009. Her interests include the use of written productions, especially pragmatic texts (such as charters, cartularies), as tools of communication and construction of ideologies and memory. Over the past years, she has also been involved in comparative studies of imperial experimentations developed in the Mediterranean and on the margins of Europe during the medieval period. Her current projects focus on perceptions of the Islamic world by Christians Spaniards. By examining how the Islamic world was perceived and depicted in Christian Spanish documents of the early to high Middle Ages (9th-13th c.), her research aims at decentering traditional approaches to the field of the Christian perceptions of Islam, which have privileged religious perspectives at the expense of polities, geopolitics and history. Sirantoine is the author of Imperator Hispaniae: les idéologies impériales dans le royaume de León, IXe-XIIe siècles (Madrid, 2012) and co-edited with Julio Escalona Chartes et cartulaires comme instruments de pouvoir: Péninsule Ibérique et Occident chrétien, VIIIe-XIIe siècles (Toulouse, 2013). 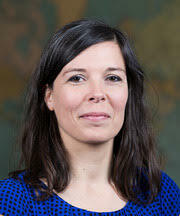 Hélène was elected as the Parergon Reviews Editor in 2017.